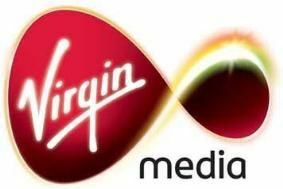 Sky and Virgin Media to raise prices from September/October | What Hi-Fi? "Unfortunately, as a result of Sky's increase of its wholesale prices from September, this means that some prices will rise for our customers too," says a Virgin Media spoksperson. Virgin customers subscribing to Sky Sports or Sky Movies will face an increase of £1-£2 depending on their package from October 1st. On the plus side, Virgin will cover the increase for the month of September, introducing it a month later in October. And it has also dropped the price of ESPN from £8/month to £6/month, so customers who take the full sports package (including ESPN) from Virgin will see no overall increase. And subscribers who take the VIP 50Mb package will get all the Sky premium channels at no extra cost, saving an additional £7/month. However, anyone taking a single sports or movies channel will typically face a £1 increase, and those taking dual sports, dual movies or sports & movies collection packages will face a £2 increase. So the single sports charge goes up to £14.50/month, dual sports to £22.50, single movies to £14.50, dual movies to £21.50 and the sports + movies collection to £29.50. Earlier this year Virgin announced a series of price cuts following a new deal with BSkyB.